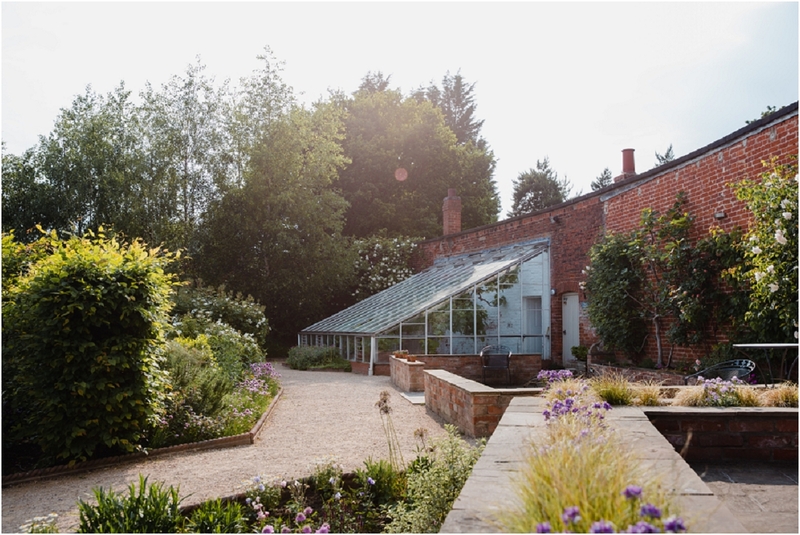 Anyone who knows me knows about my love for walled gardens. 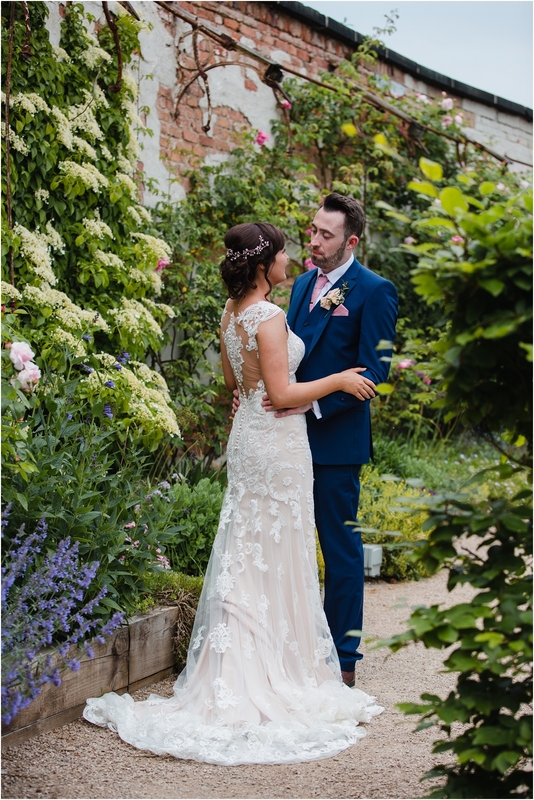 I have the theory that it stems from a love of the Secret Garden I read as a child, and the fascination of crumbling old walls and neat borders of wild flower has never left me. 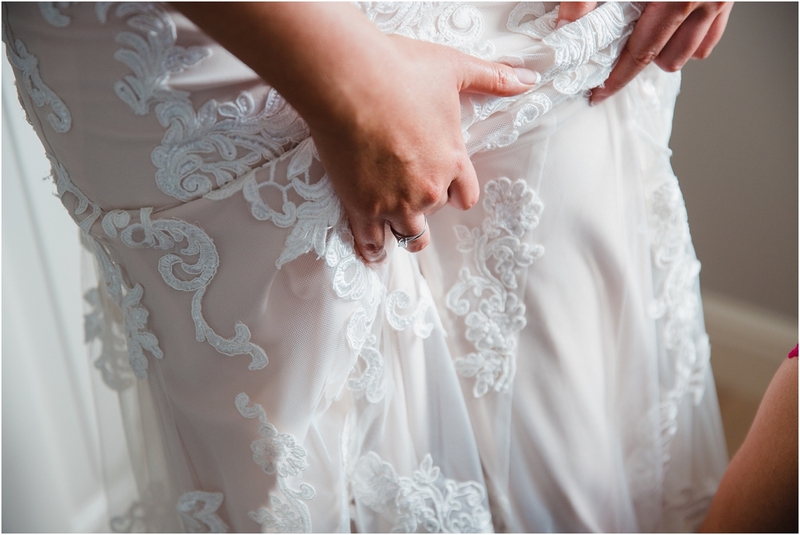 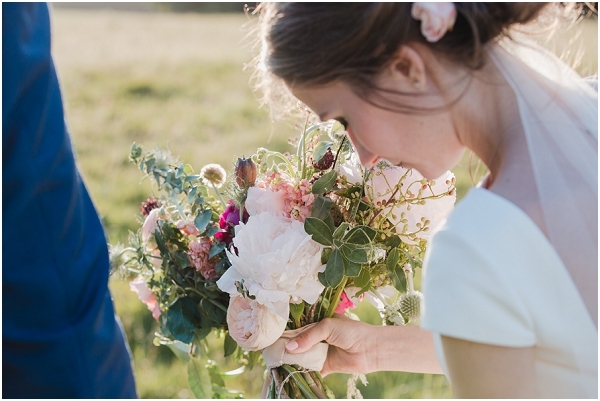 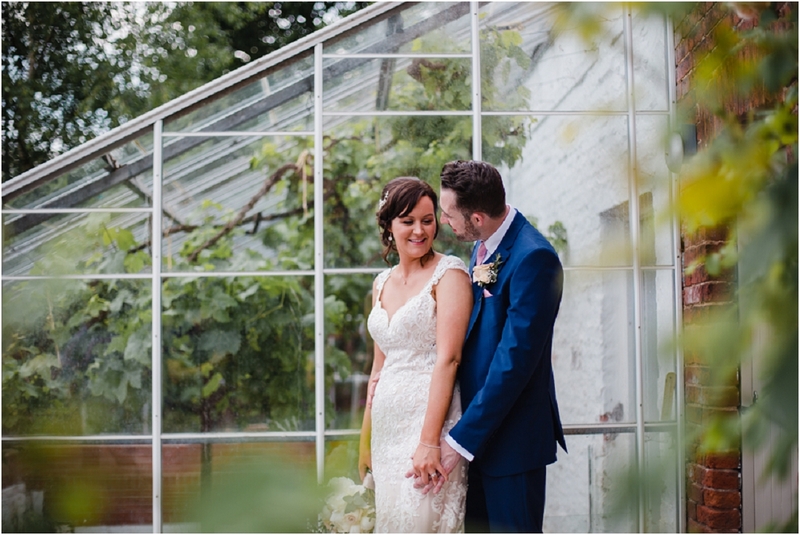 So a Walled Garden wedding is probably my most perfect venue to photograph! 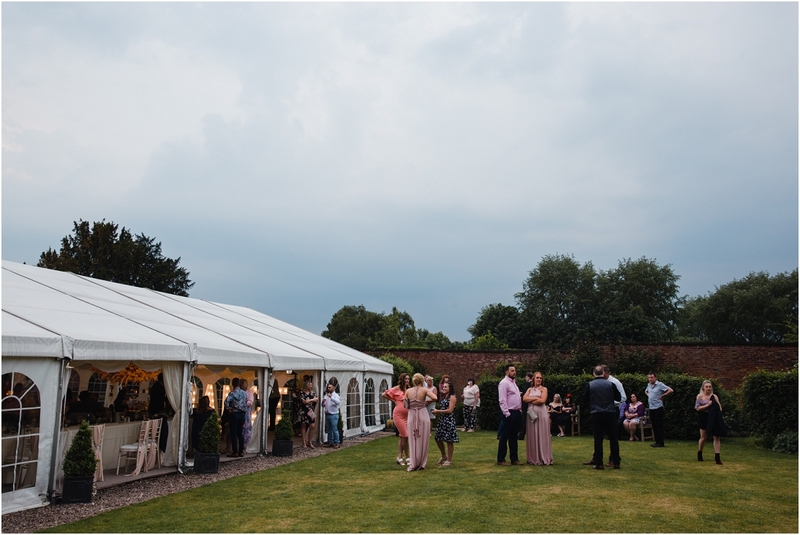 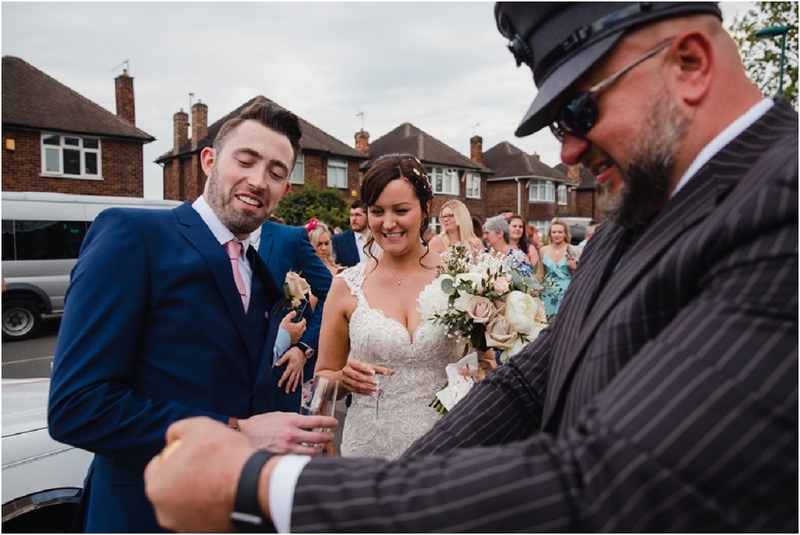 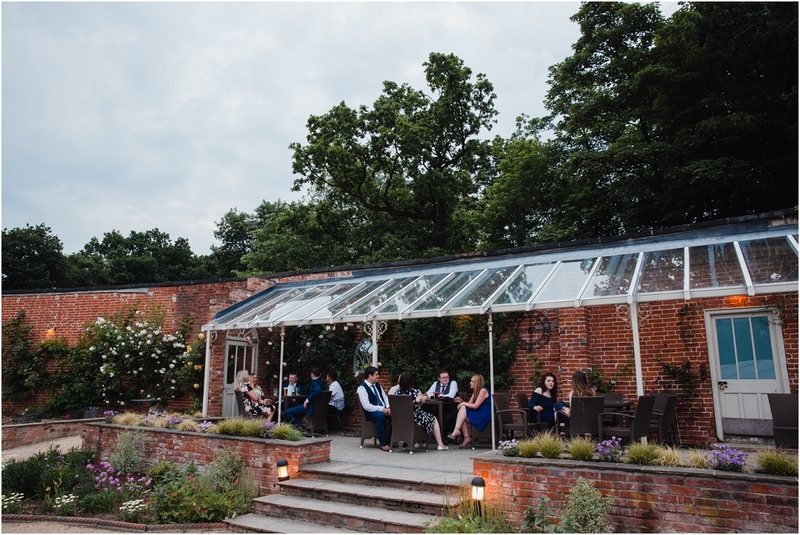 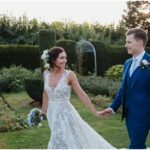 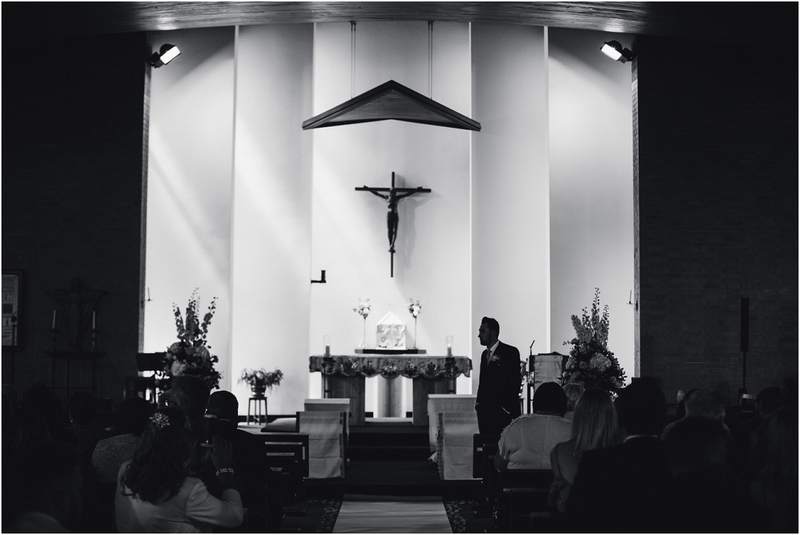 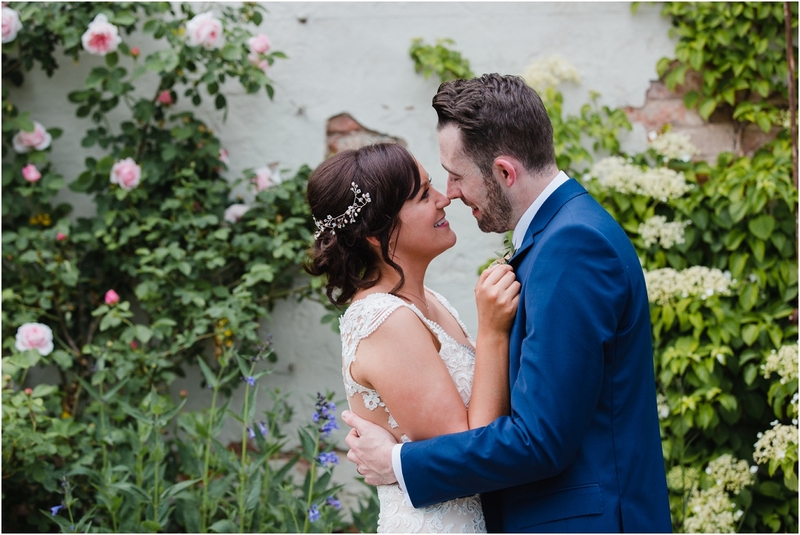 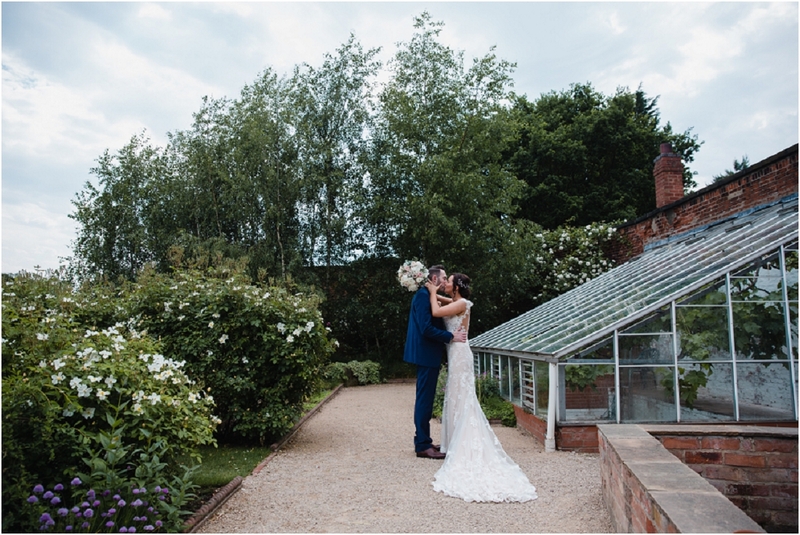 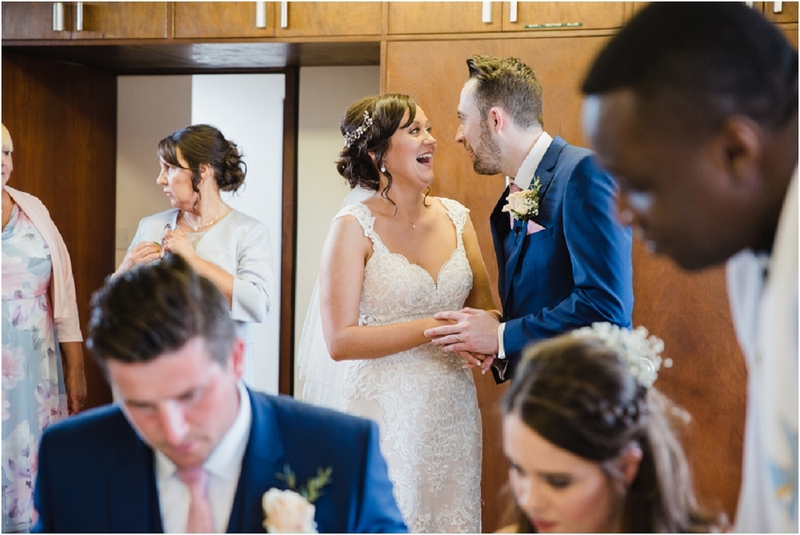 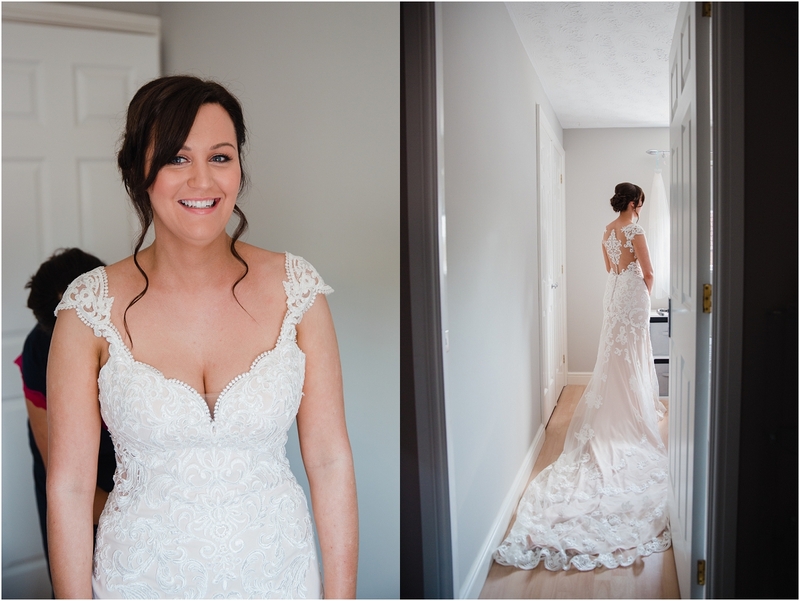 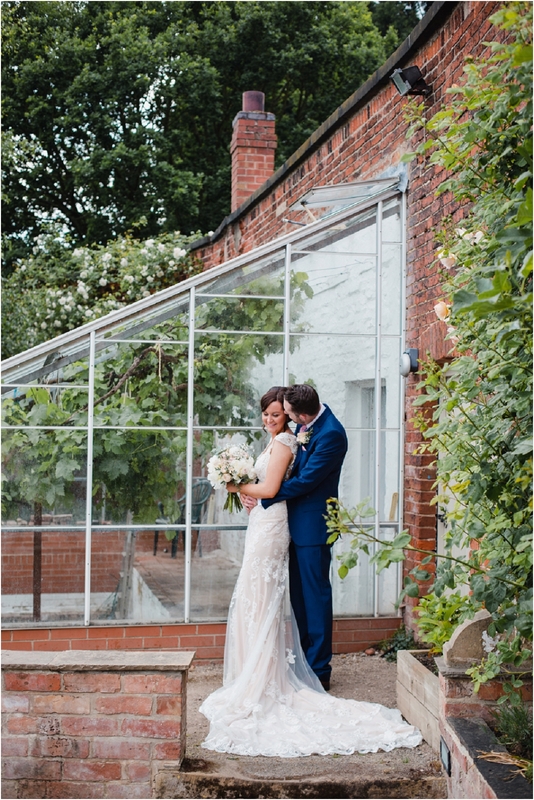 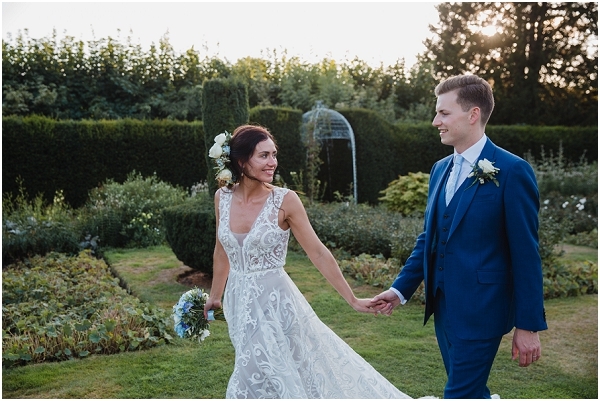 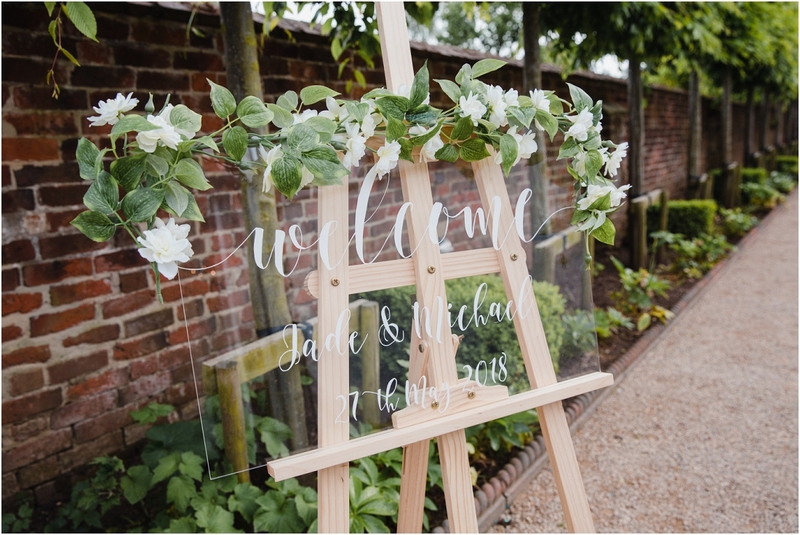 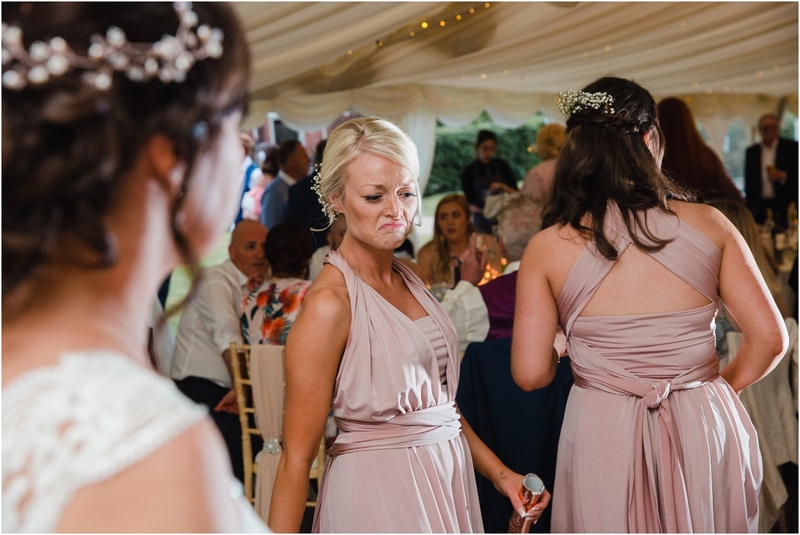 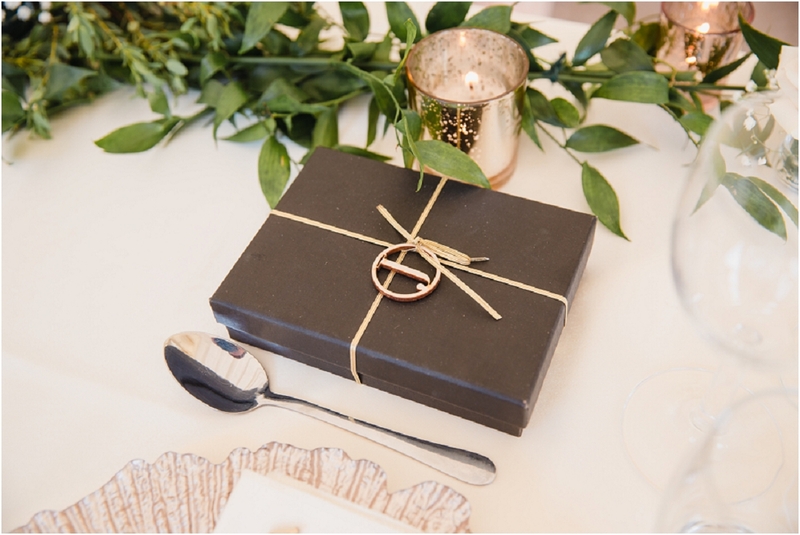 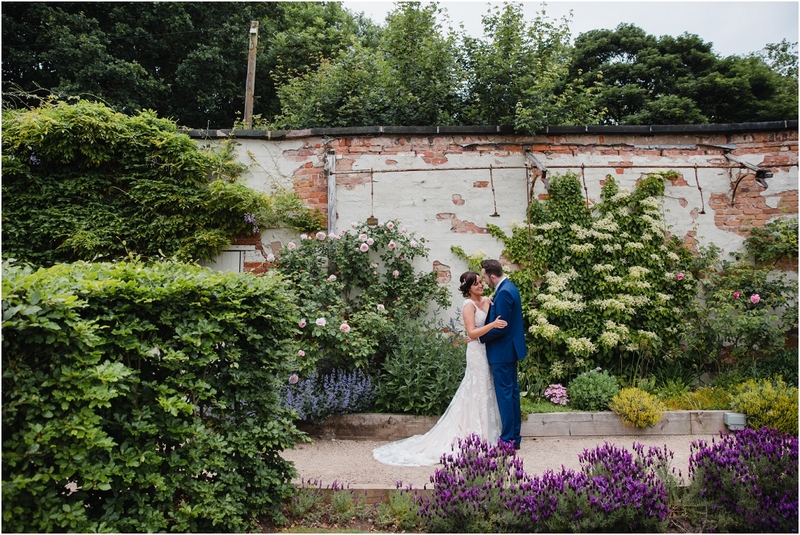 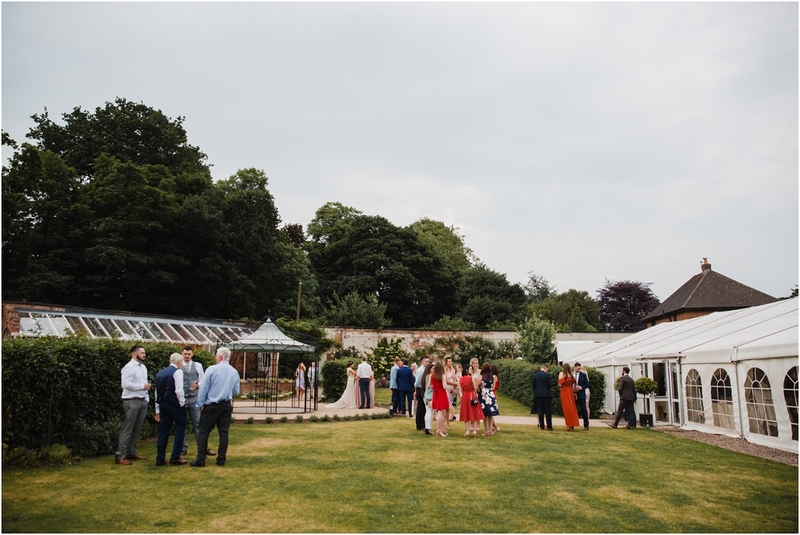 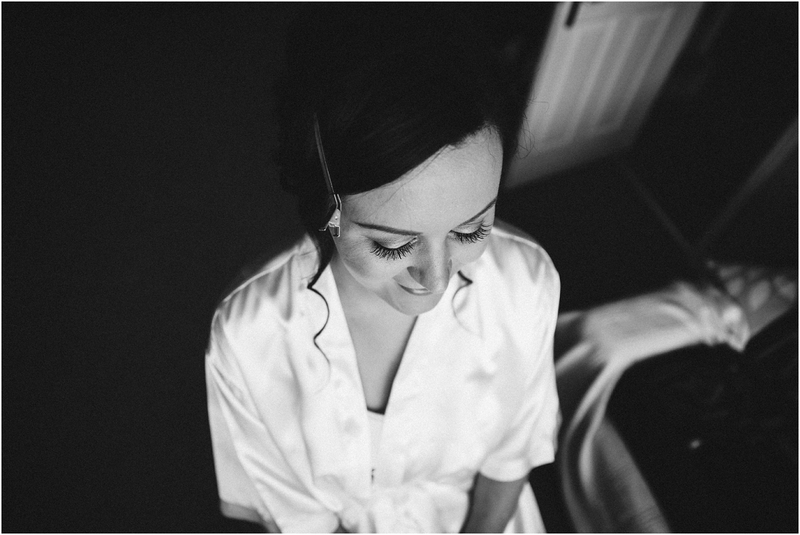 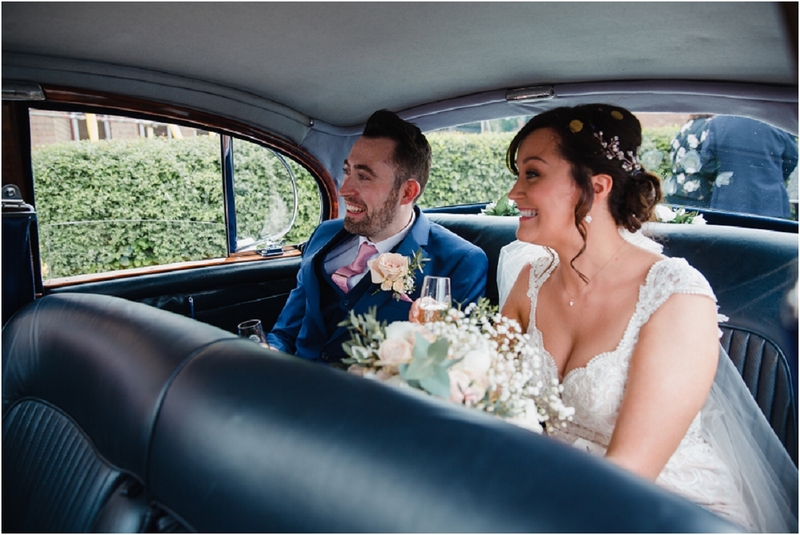 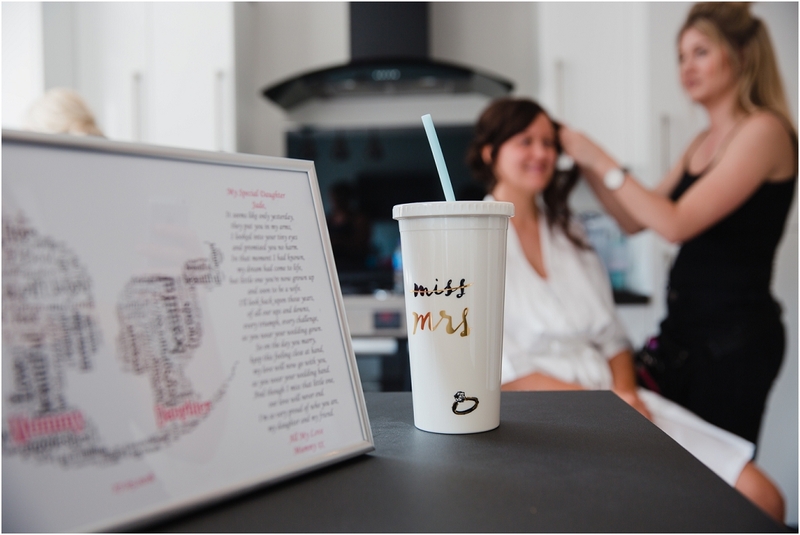 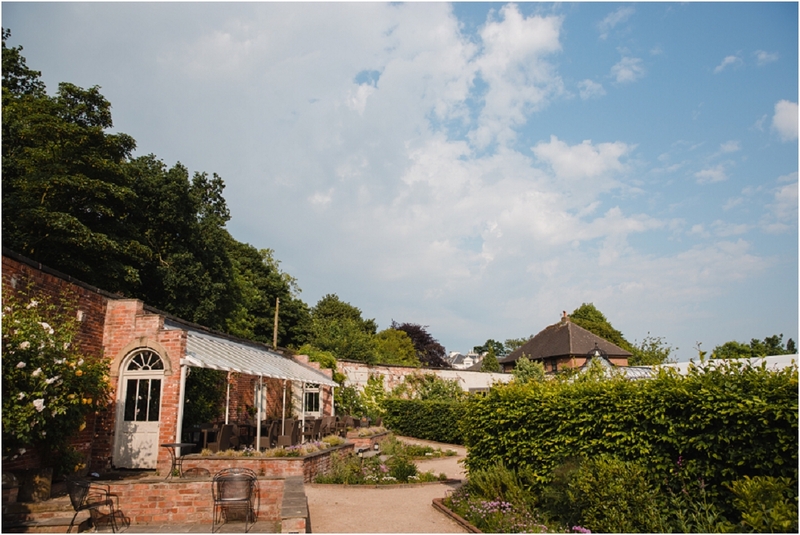 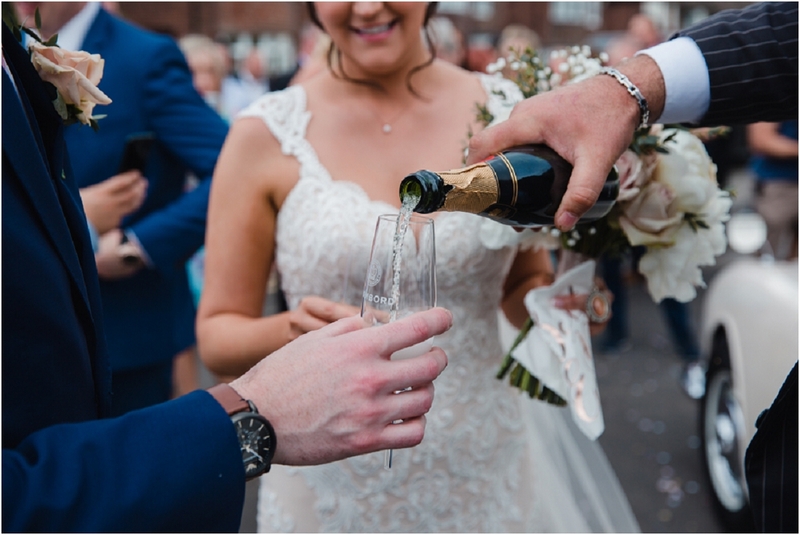 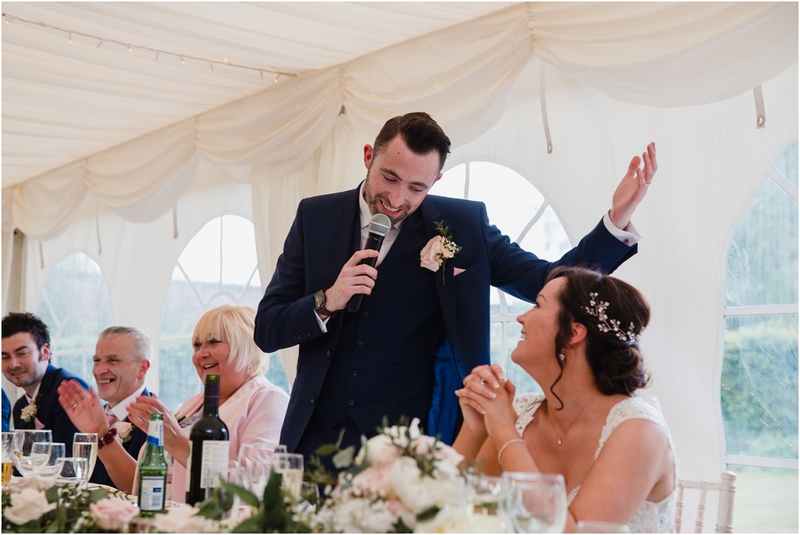 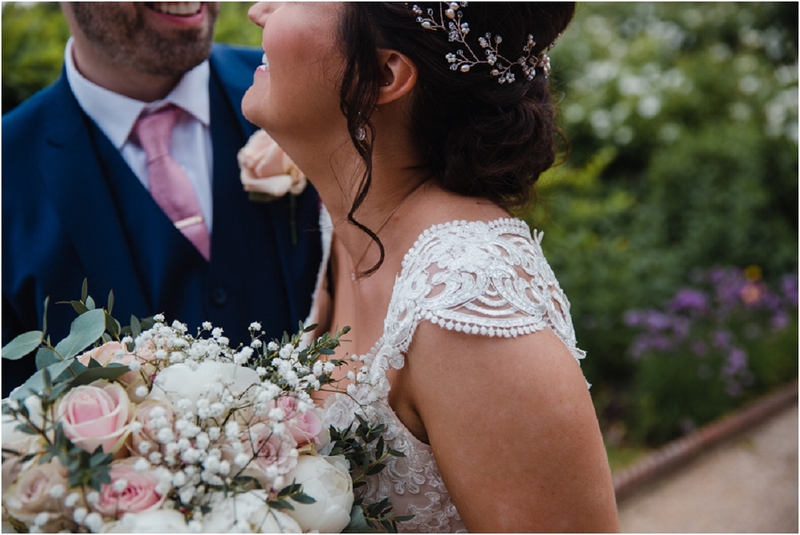 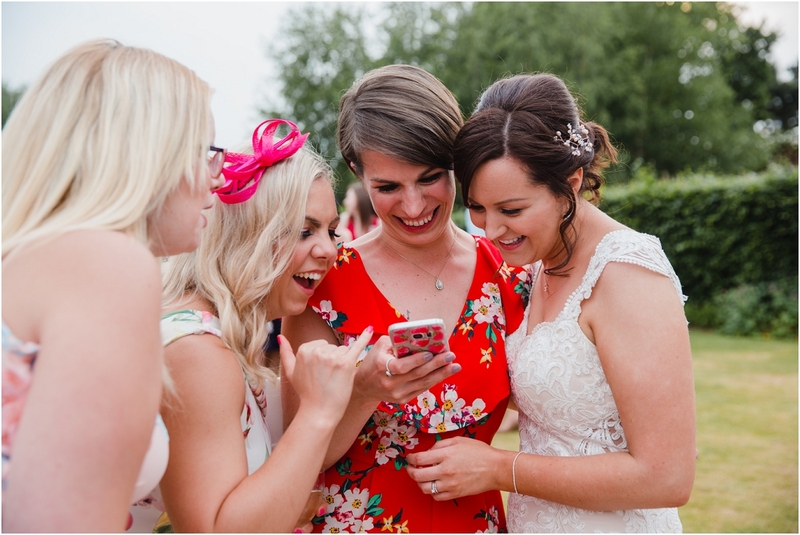 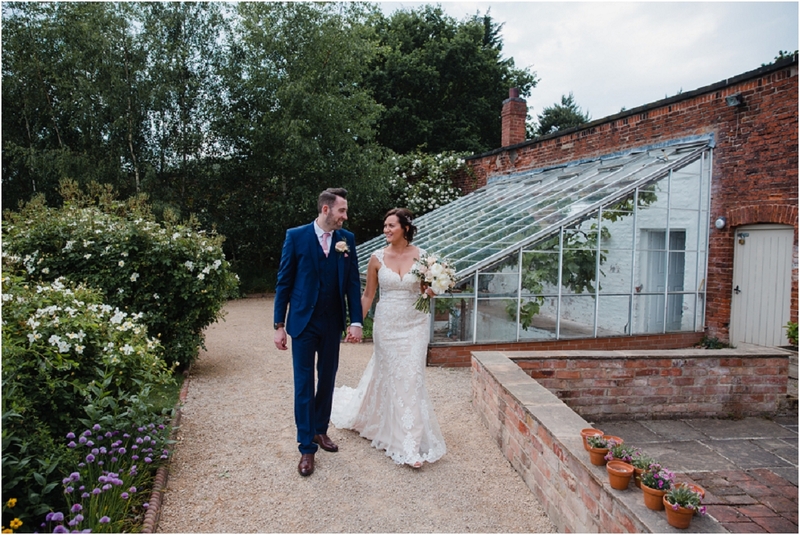 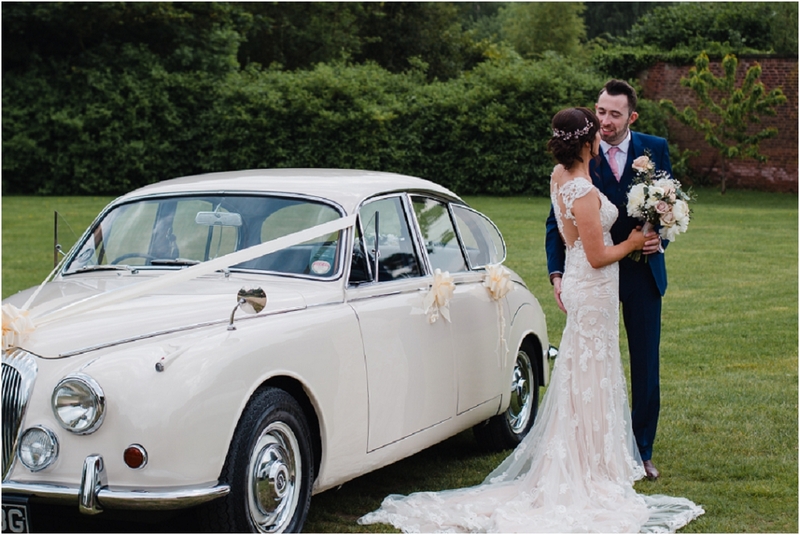 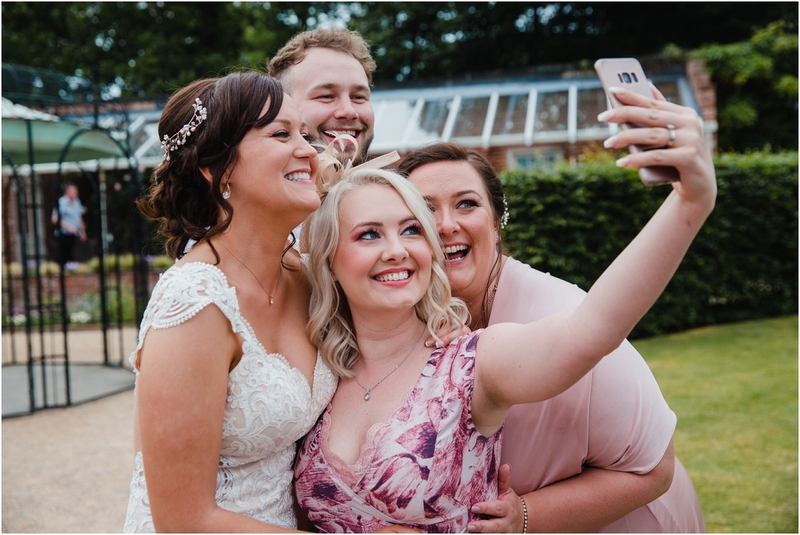 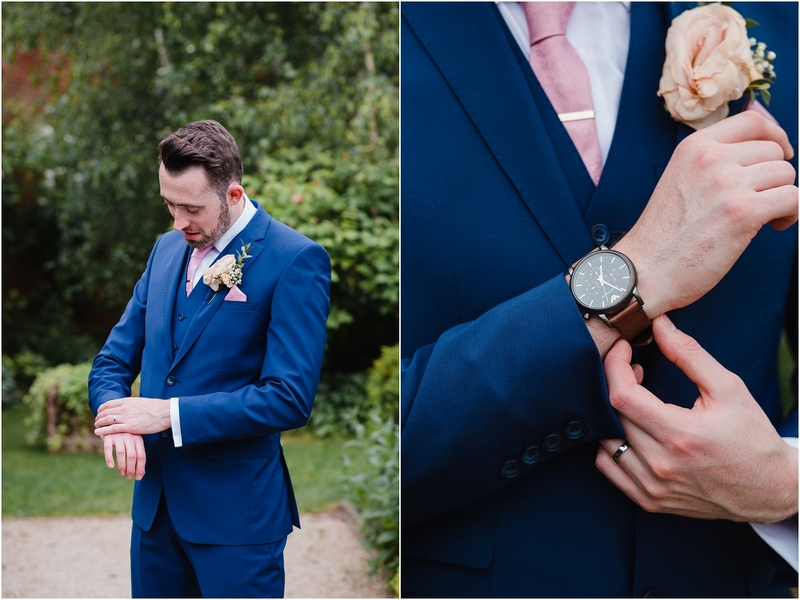 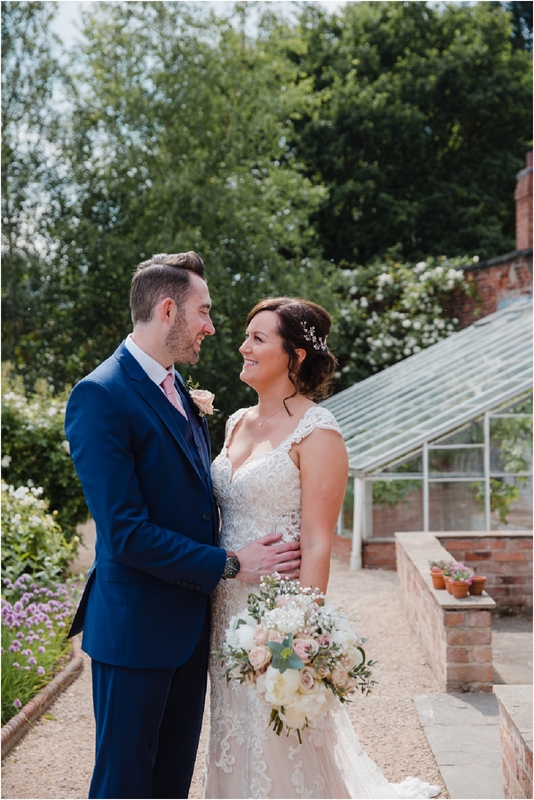 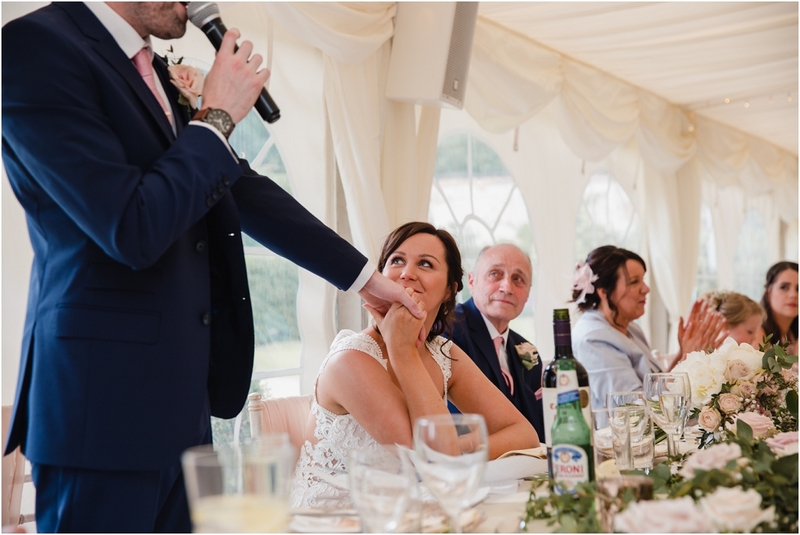 The Walled Garden Beeston Fields in Nottingham didn’t disappoint and Jade & Michael’s wedding there earlier this summer was the perfect day for such a perfect location. 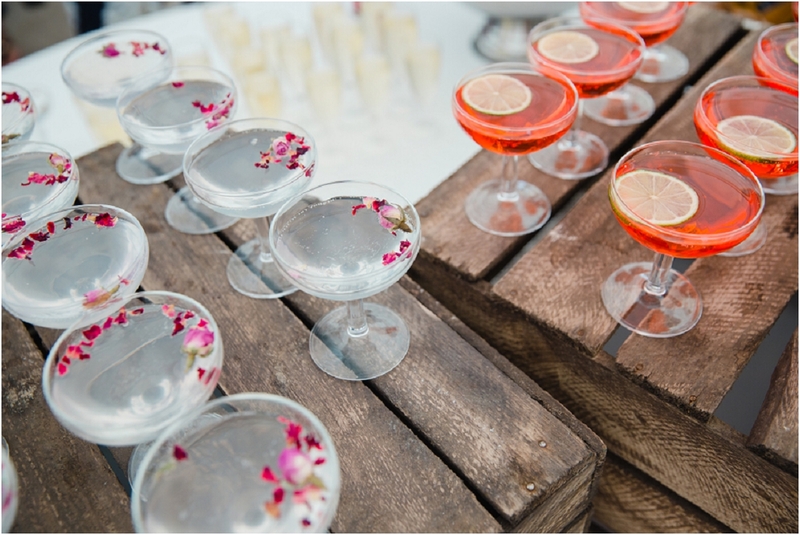 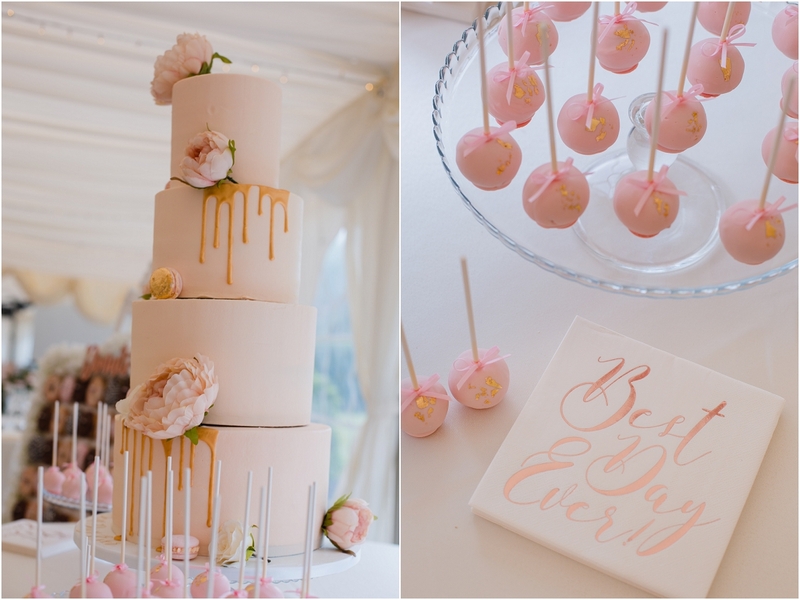 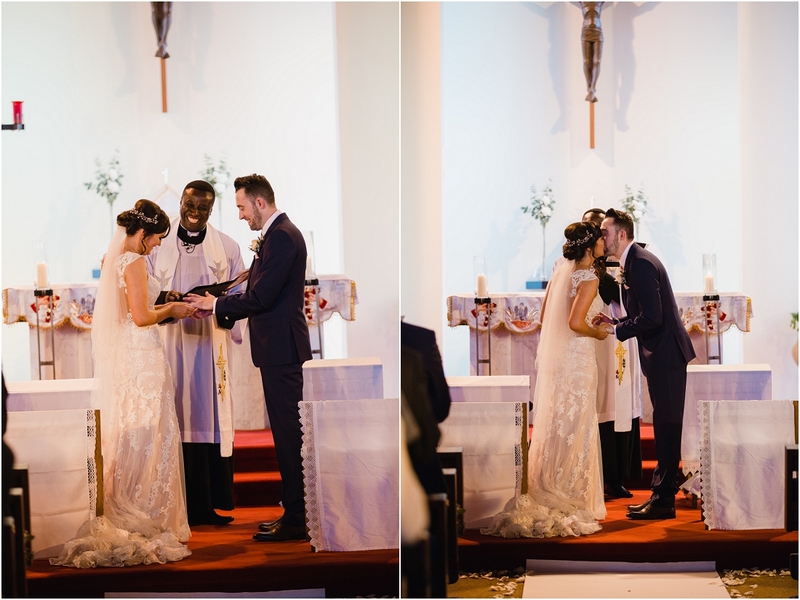 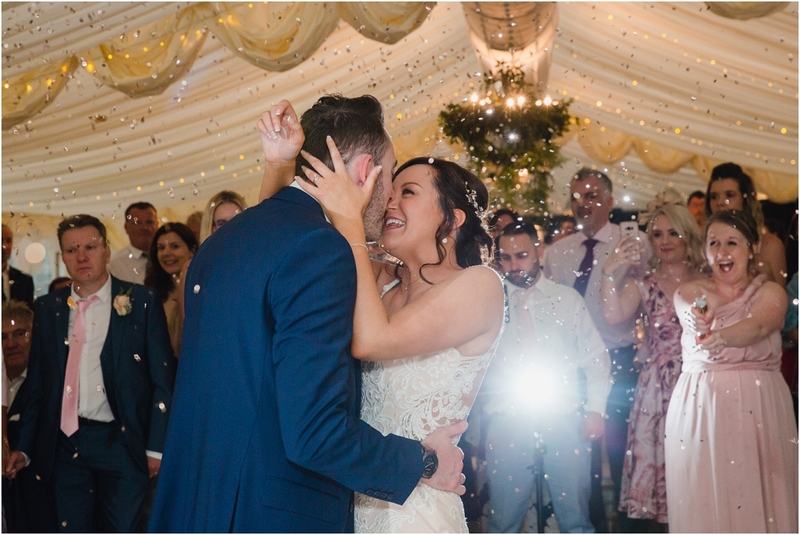 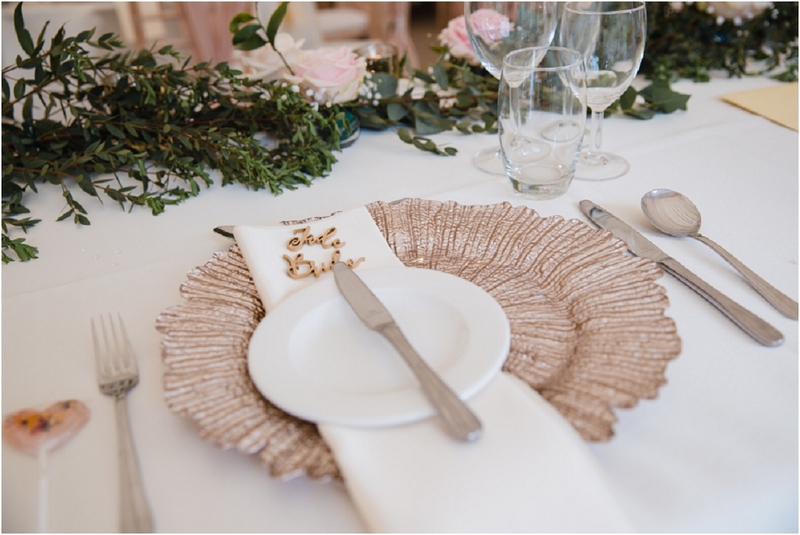 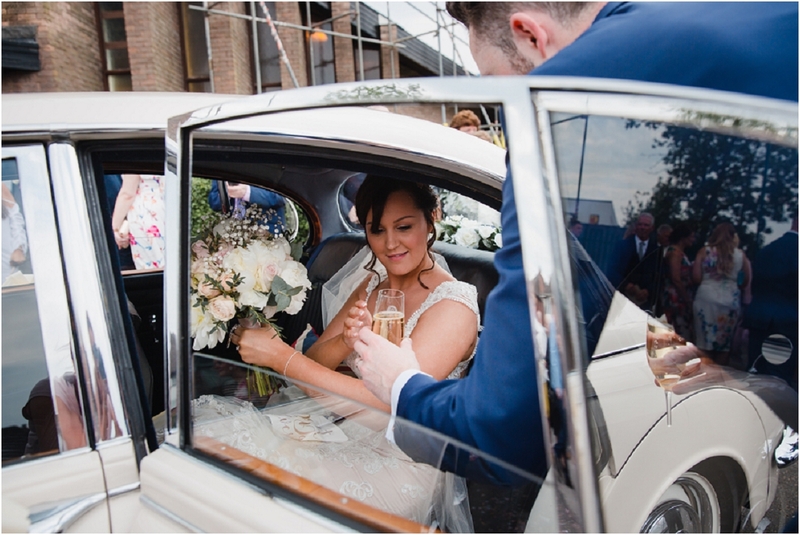 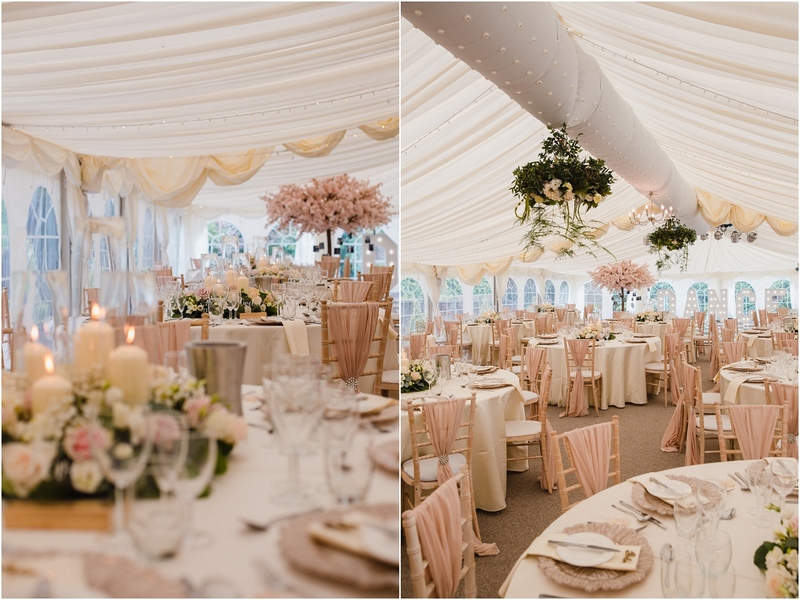 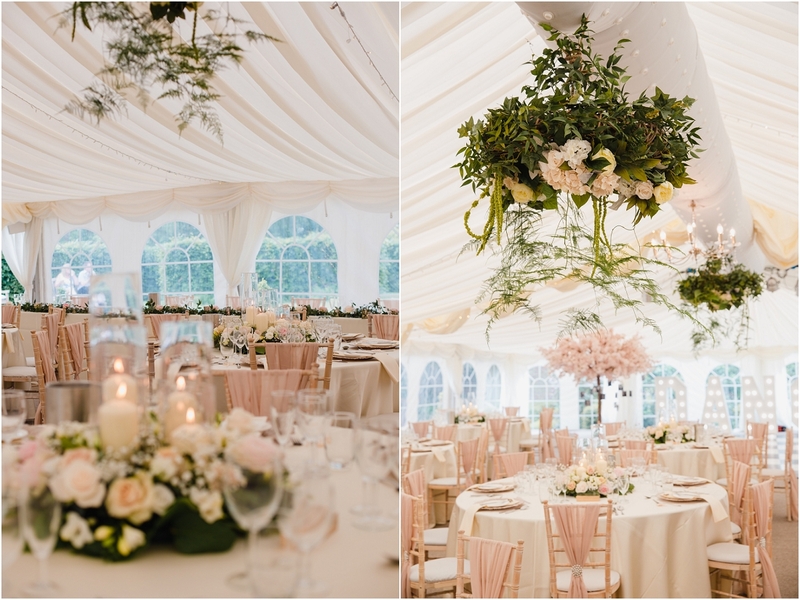 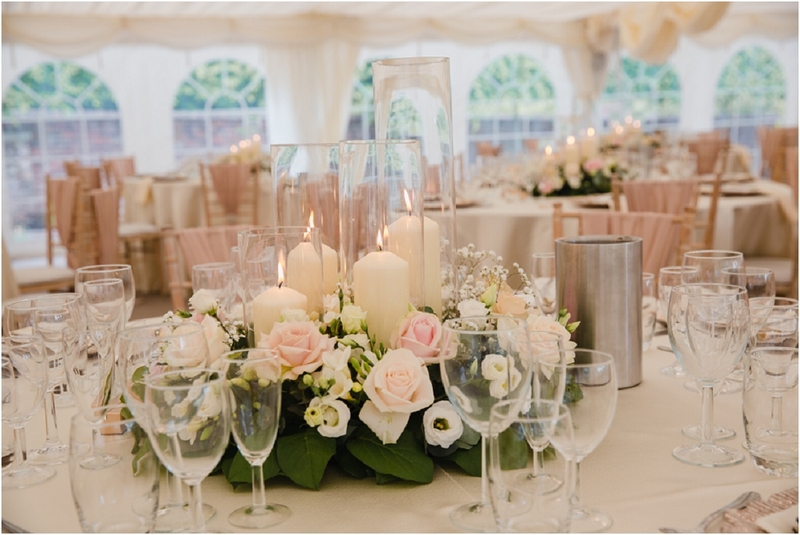 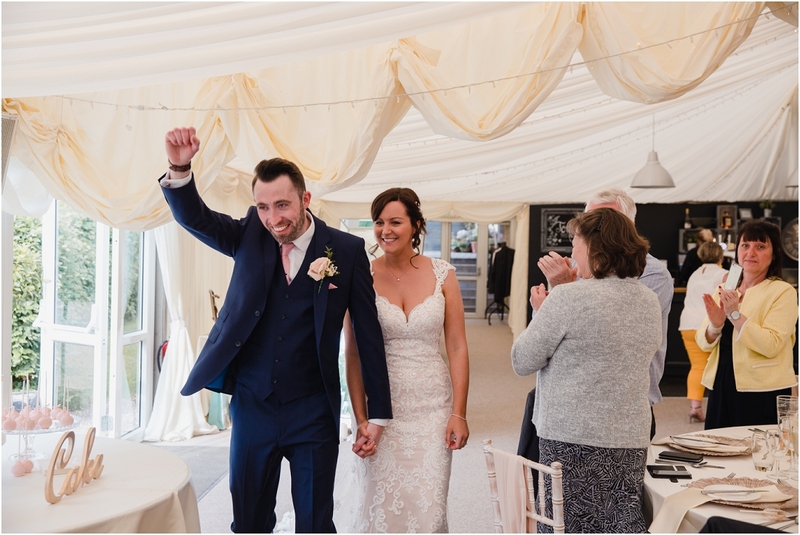 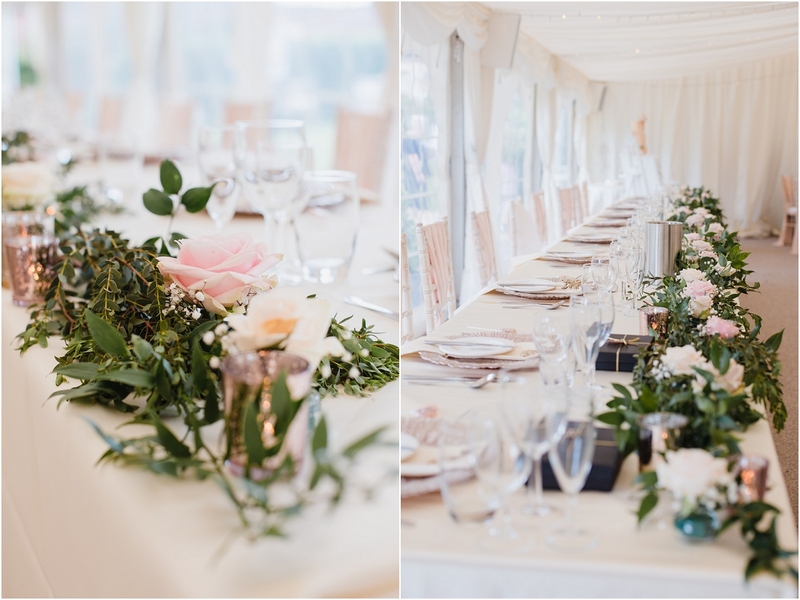 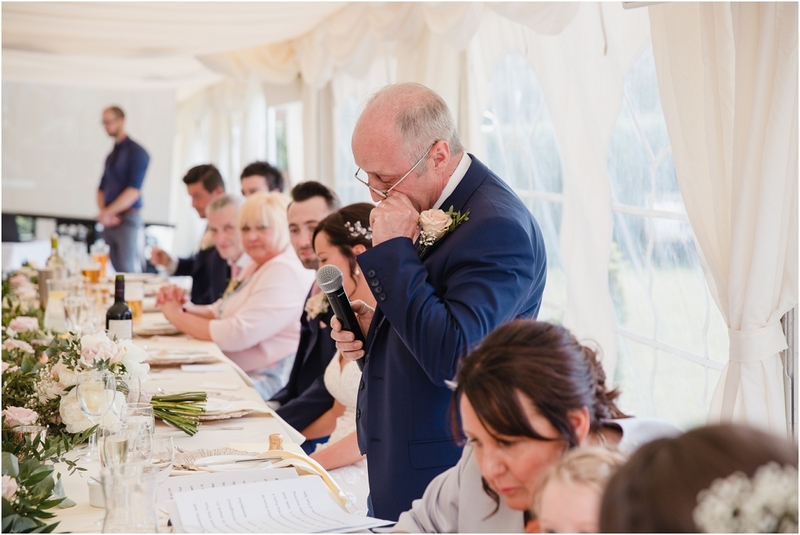 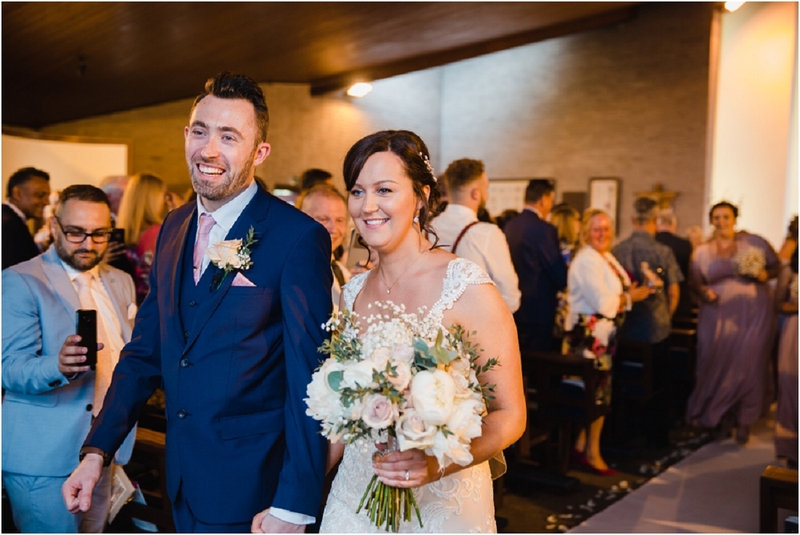 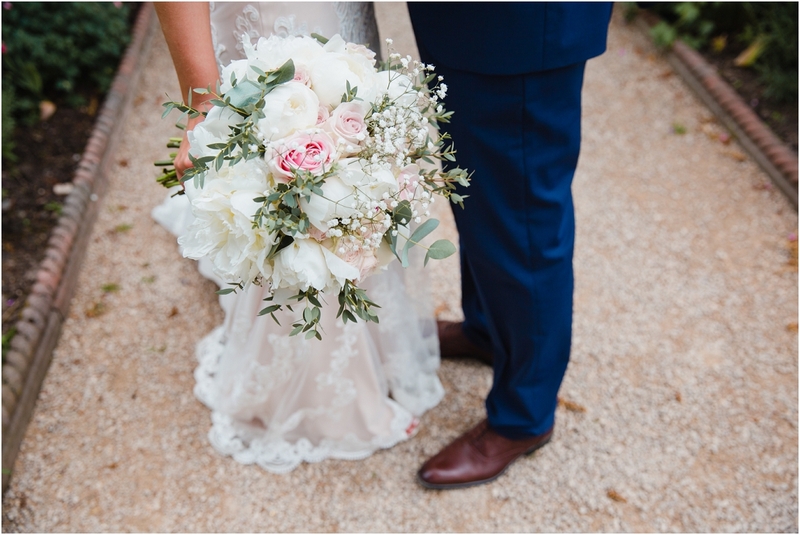 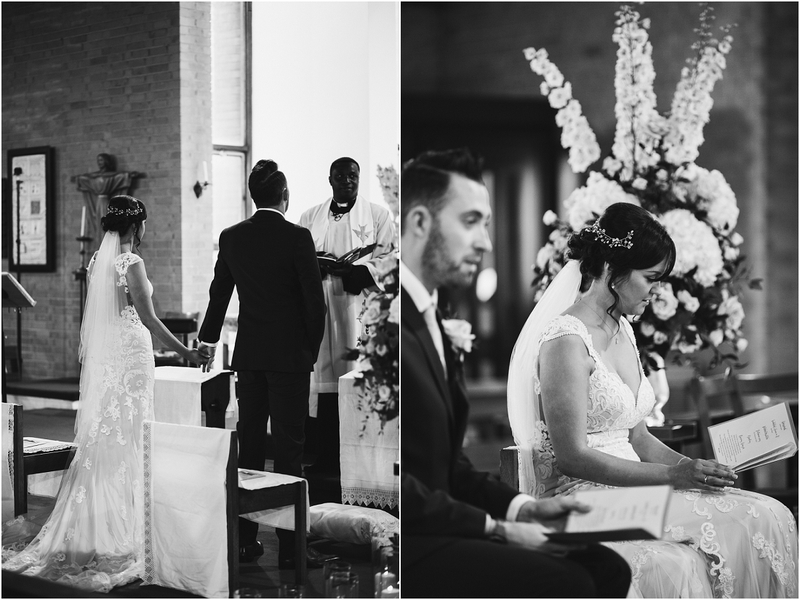 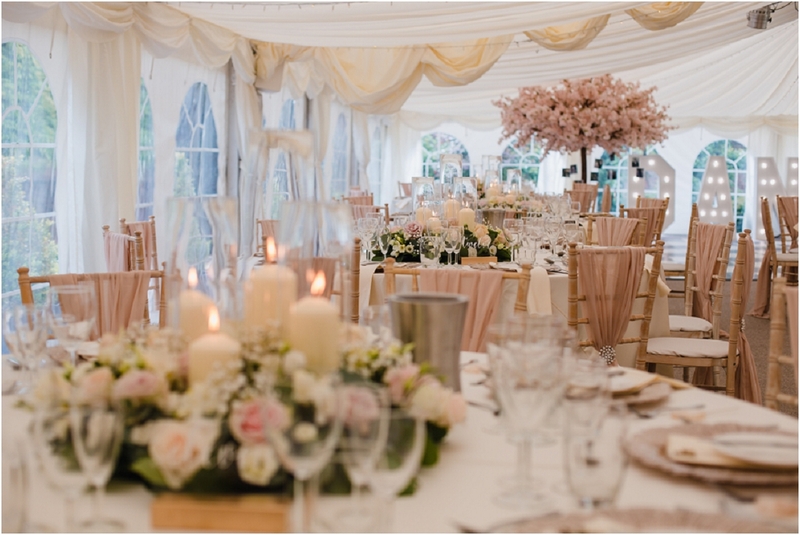 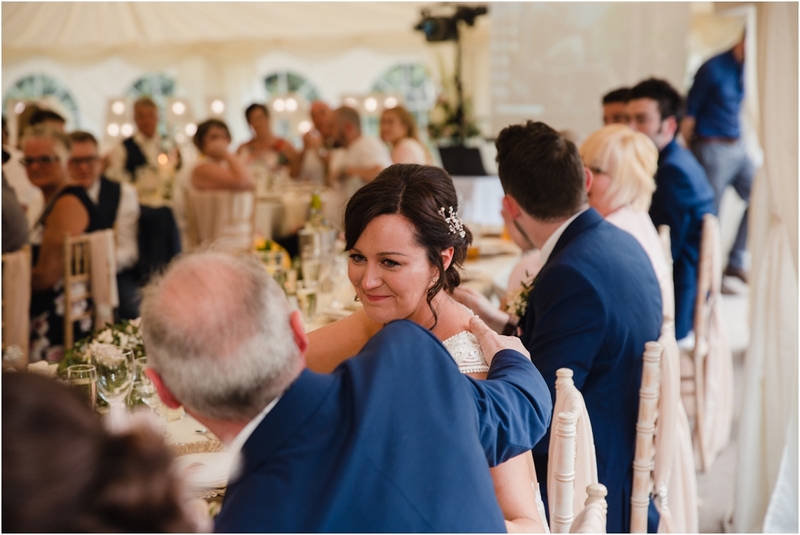 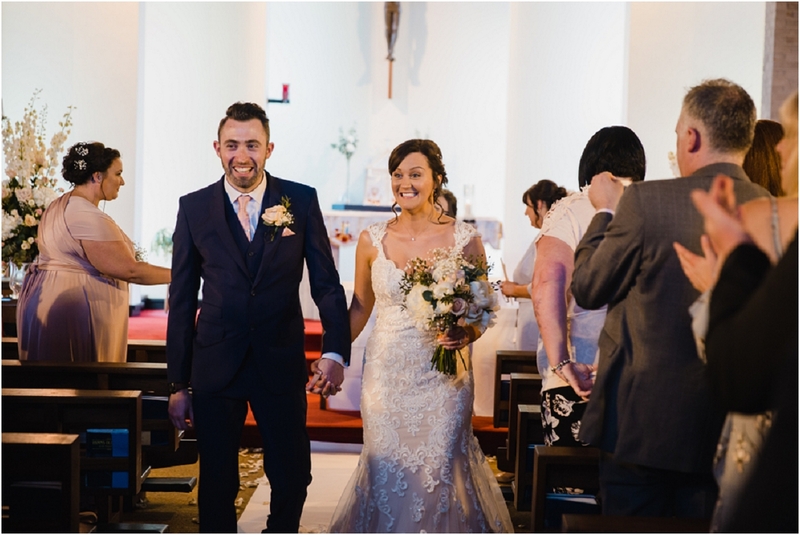 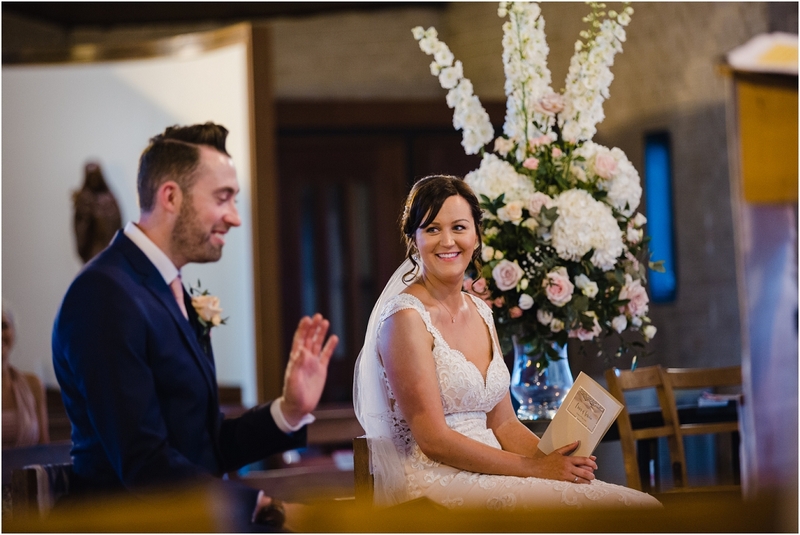 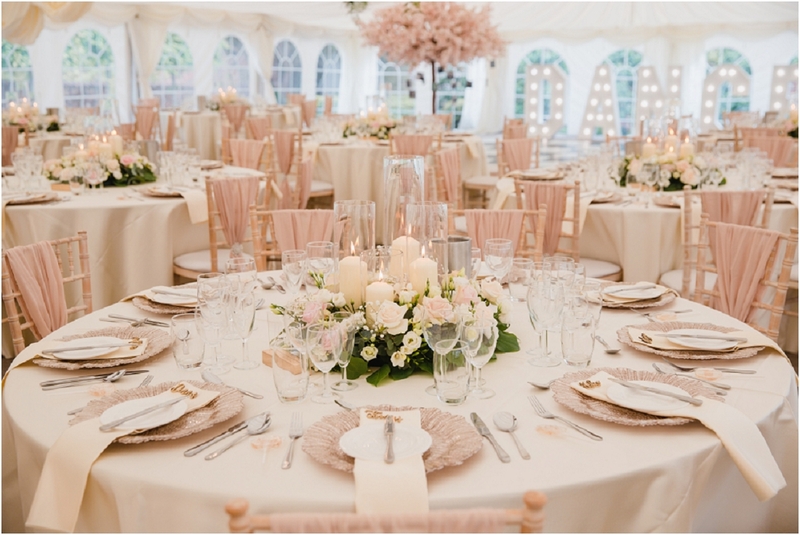 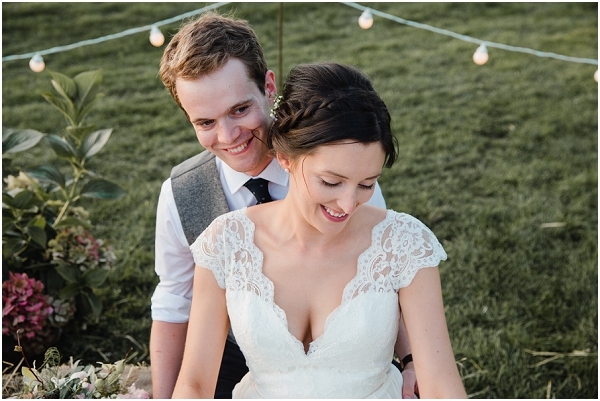 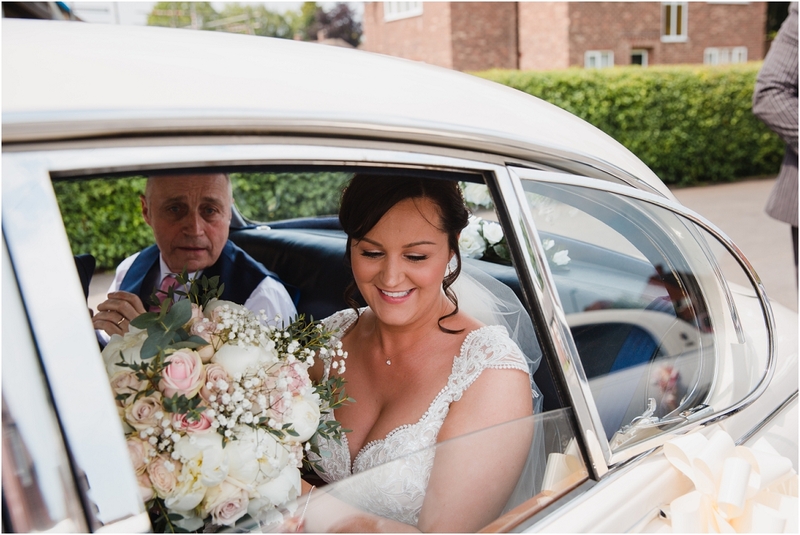 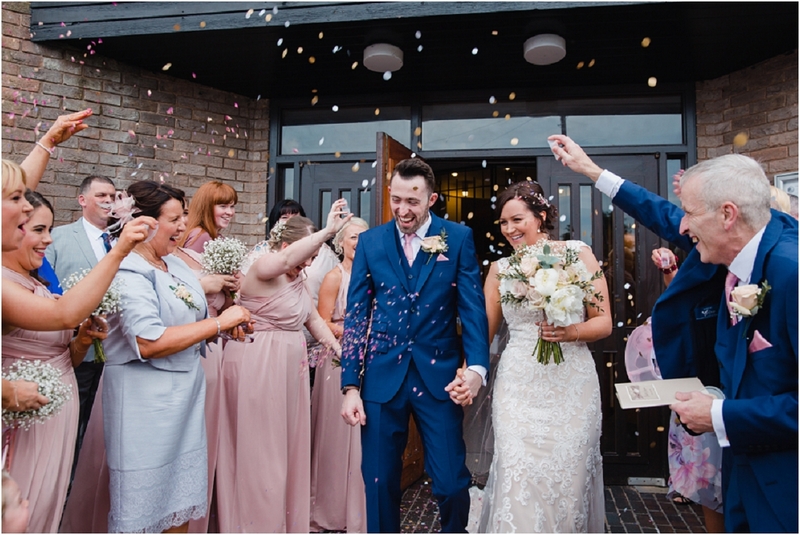 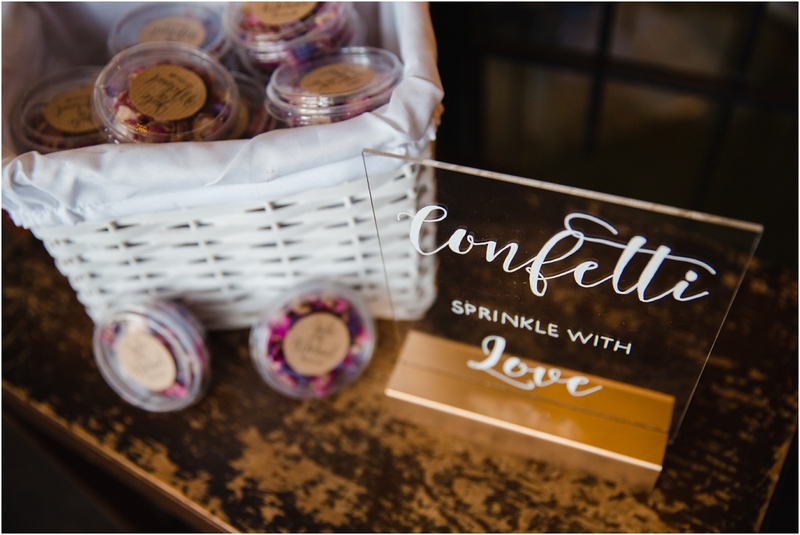 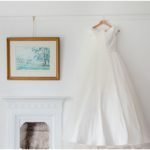 The couple had decorated the marquee reception venue beautifully with heaps of flowers in soft spring colours and flower wreaths adorning the ceiling of the marquee. 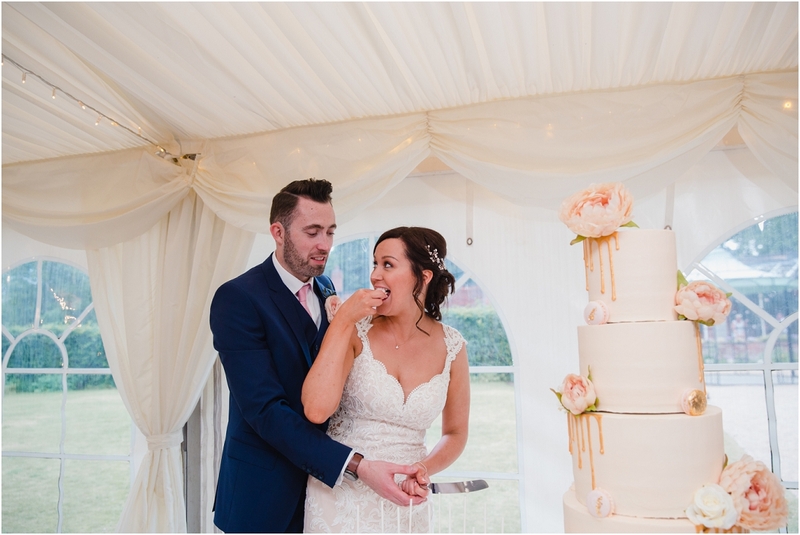 There was a donut wall that smelt AMAZING and the guests were treated to delicious looking cocktails on arrival. 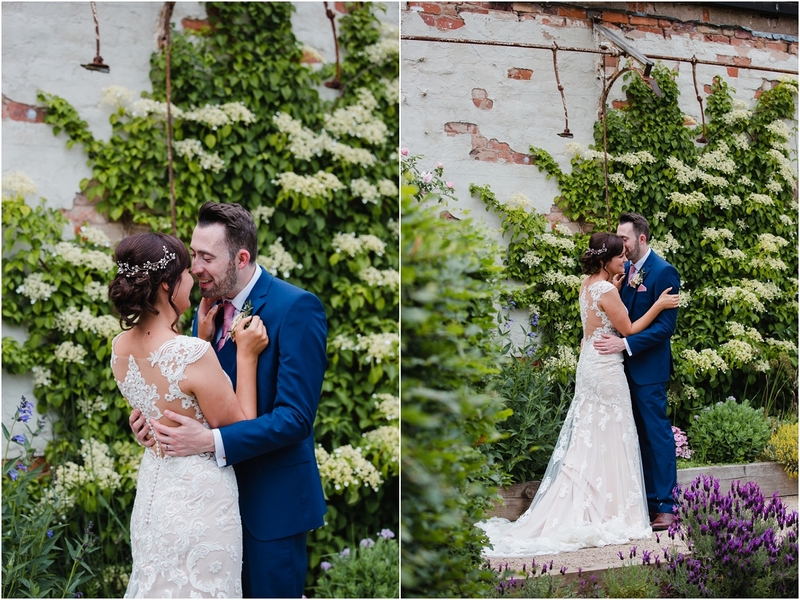 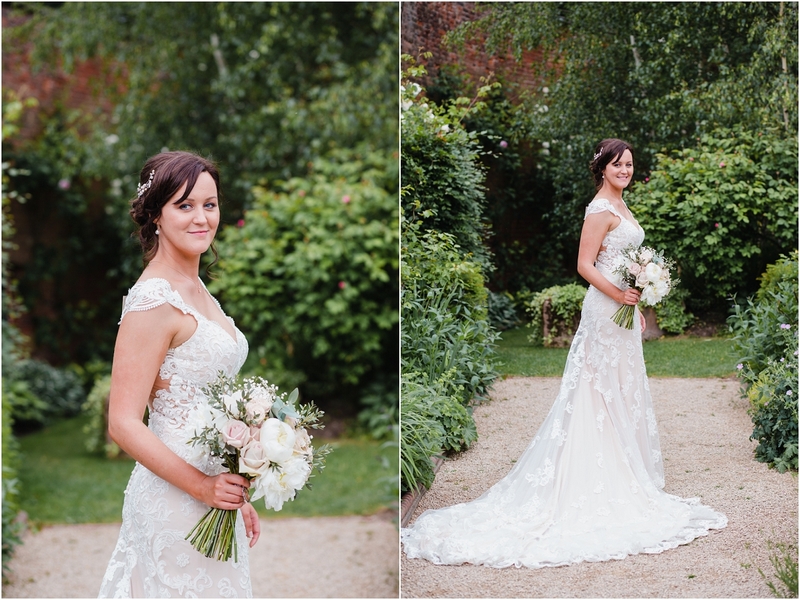 The day threated thunder storms all day with menacing grey clouds interspersed with glorious sunshine, but the rain never came and we were greeted to a gorgeous even in the gardens, perfect for those last few couples portraits in the beautiful walled gardens.